TeamSupport’s Customer Chat has integrated Audio, Video, and Screen Share (Enterprise Only Customers). This lets you effortlessly switch to a more interactive session should the need arise. 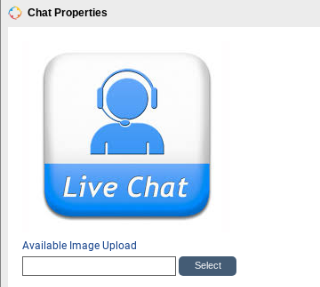 Once you have chat configured, click here to learn how you and your customers will use chat. Any member of your team can be a chat user. By default, Chat is enabled for new users you create in your account. 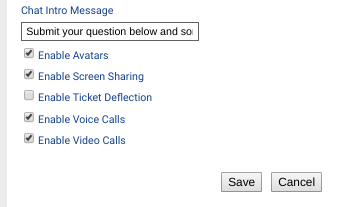 This setting is located in the Users -> User Properties -> “Customer Chat User”. The user will need to refresh their browser, or log out and back in order to log in to Chat. Navigate to the Admin section -> My Company tab and scroll to the Chat section and click the Edit Chat Properties link. Online/Offline Buttons: This setting applies to the “Classic Customer Portal” only and does not apply to the Customer Hub. You have the ability to select which buttons will be used for Online/Offline chat status. When at least one of your user has their toggle button set to “Online”, the Online button will show. If all of your users have their toggle buttons set to “Offline”, the Offline button will show to your Customers. When Offline, your Customers will still have the option to submit a ticket for their question. Avatar: This setting applies to the “Classic Customer Portal” only and does not apply to the Customer Hub. You can change your avatar that will be displayed to the customer on their chat window. Message: You may customize the initial message displayed to your customer on their chat window. 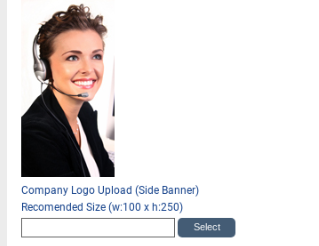 Enable Avatars: In the User section of TeamSupport, each user has the ability to upload their Avatar of choice. If this box is checked, this Avatar will be displayed while chatting. If left unchecked, the system will display the Users initials. Enable ScreenShare/Voice Calls/Video Calls (Enterprise Only): You may turn these options on and off depending on your preference. This is an account wide setting. Enable Ticket Deflection: If enabled, Knowledge Base articles will be suggested to customers on the initial Customer Chat screen before the chat is actually initiated. This feature can help to provide answers to your customers without the need to submit a chat request. Press the “Save” button to return to the Admin ->My Company Screen. By default, the Chat button is already displayed on your Customer Hub. If you are interested in placing your Chat somewhere other than the Hub, you may copy the chat code to any website that you manage. Simply copy and paste this code to your site and that’s it! You can also test your chat by clicking the “Test” button. TeamSupport allows users to be in different Groups, for example Sales and Support. You may place multiple Chat buttons on your website that are directed to specified Groups using an added parameter in the URL. Only one Group may be specified per URL. When this parameter is used, only members of the specified Group will receive the Chat notification. Using this feature, you may funnel Chat activity from your website to the intended users. For example, your website Support page may have a Chat button that is directed to Support users, and your website Sales page is directed to Sales users. If you are using TeamSupport’s chat in an environment where the users are already logged into your application or otherwise known (note: See our documentation on Single Sign On to learn more about how to tightly integrate TeamSupport into your application), you can pass parameters to the chat interface. To implement these, you will need to add the query parameters when calling the chat dialog. There are two steps to disabling Chat. All users in your account should have their user settings disabled. By default, Chat is enabled for new users you create in your account. This setting is located in the Users -> User Properties -> “Customer Chat User”. When Chat is disabled for a user, it will not appear on their left hand navigation and the “Customer Chat Online/Offline” button on the upper right hand of the screen will not be visible. You will need to disable the “Chat” button in your Customer Hub Settings. This is found in Admin -> My Portal -> Customer Hub Settings -> Enable/Disable Features section. Be sure to click save. Once the browser is refreshed, the Chat logo will no longer appear on the Customer Hub. Additionally, if you placed your Chat code anywhere on an external website, like your homepage, this will need to be removed.